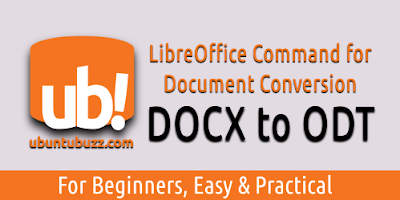 DOCX is Microsoft Word OOXML document format. 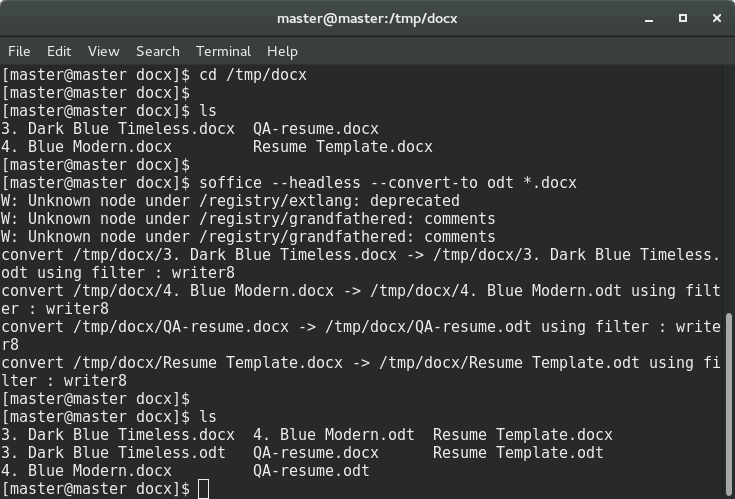 This command line showing multiple conversion from DOCX files into ODT files. 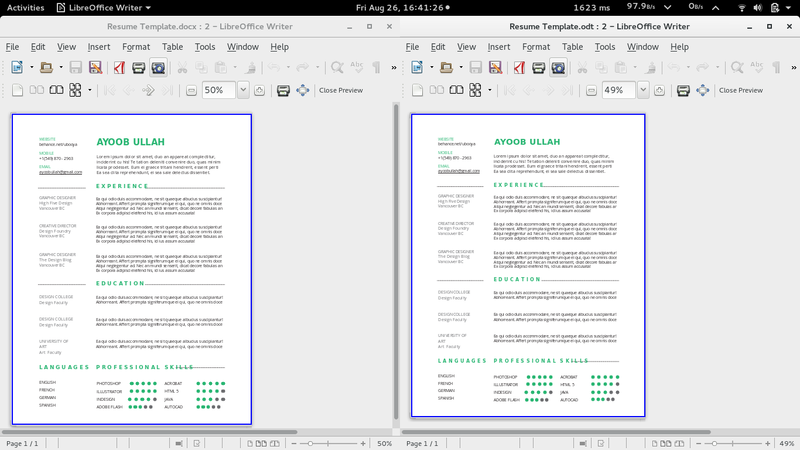 This can be considered as Microsoft Word to LibreOffice Writer document conversion. We take some external DOCX files for several sources to show this command line.